Happy Sunday, although for the first time in weeks I’m actually writing this on Saturday in advance. A nice change of pace and an attempt to get back to a more sane schedule. I’ve been thinking a lot about how to get past the craziness of the last few weeks at the day job, and as always one of the first things I came to was to get back to a regular schedule for the blog, because I really like writing these round up posts, they’re a nice way to review the week, review my bakes, review what I’ve been reading and a chance to write a bit for semi-public consumption. (I guess it’s fully public, but let’s be real about audience size here.) So an early morning review this Sunday, and a bunch of great links. After a very long spell of not buying stationary items at all, I have a few new arrivals. I took part in the Massdrop buy of Super5 inks and got a bottle of Australia, Dublin and Atlantic. I’ve only opened the Australia so far, but at first glance it’s a really gorgeous dusty purple. This overview at gorgeous.ink is a nice summary. And finally, after my self-imposed pen buying hiatus was successfully seen through (the one cheat was buying a Pilot Penmanship that I gave as a gift to a friend getting into fountain pens, and I feel good about not counting that), I used the set aside money to get what I’ve been calling my reward pen. The link still works for now, we’ll see how long it lasts I guess. I’ve been eyeing this Morgan in Mandarin Acrylic for over a year and a half. I bookmarked the link above just to check in on it every few weeks. Ordered it with a steel EF and I just saw it has arrived at my office over the weekend, so will eagerly get that on Monday. I don’t know what it is about this pen, I tend to not love brightly colored things in general, and am usually not a fan of gold furniture, but I think this pen is fantastic looking, at least in the pictures. Will obviously talk about it on here as I use it and have in-hand impressions. Come for the pen talk, stay for the writing. Pete's blog is a favorite not just because he talks about coffee and pens, two of my favorite things. He's a great writer, and this tale of realizing exactly what 'grail pen' might mean to him is a great read. Woah. This pen. It makes perfect sense that he is the enabler of enablers. Really beautiful. A great write up on what is easily my most loved app on my phone. Airmail makes it so trivially easy to handle incoming mail, and I’ve found over the last few months it pushes me to DO things with my email in a way I never have been before from an app. I love seeing the inbox zero, so for example, I’ve gotten very good at figuring out how to snooze things in ways that prompt me to truly follow up on them. And where I used to just keep shipping notices in my inbox, I now quickly shove them into a separate folder/tag that makes it easy to check on them/make sure I’ve received everything I’ve expected, and then even easier to just archive and remove them when the item arrives. I know I’m probably nowhere near the power user that the Macstories guys are, but I do really love this app. I have one of these in the fire and ice and while I agree it’s a really great pen overall, it just has not clicked with me. A great review, thorough, and I love all the close up photos. There’s no denying these pens are lovely, I just have to chalk it up to not loving pocket pens. I don’t tend to post things from stores, as product announcements end up everywhere, but man alive do I love the look of this ltd. edition case, the first one in their new experimental/trial/ltd Blue Label line. This rocketed to the top of my “Reasons I’m Sad I’m Not In Atlanta This Weekend” list. Which I’m assuming all of us not in Atlanta have someplace. I talked about this book last week and finished it up Friday night. I was very impressed, and happy to see the author getting coverage places. This is a nice writeup/interview with the author. Really, if you have any interest in video games, or sci-fi, or even just interesting history/sociology I recommend the book. It’s about ten bucks on Kindle I believe. I need this ink. I need it to be in my possession. I just can’t quite get over the 43 dollars a bottle hump. But if I can find it at the SF Pen Show this year, I will buy it. I have no illusions about this. Tekker has been popping up a bunch of places of late, and for good reason. It’s a really interesting idea, and one that seems almost too good to be true. From the instagram chatter and some mentions here and there it does seem like the color matching can be not 100%, but this review makes it seem like a solid ink. It’s nice to hear that at least the ink itself is fine, even if the color-matching part may not be perfect. I might give this a try at some point, we’ll see. Nice roundup of some cool looking things. I talked about it a bit in the load out post from January, but I really do love the Life notebook I’ve been using. Not familiar with the other stuff, but can definitely vouch for Life’s paper quality. After last week’s baguette success, I decided to take a bit of a chance and do an experiment with my starter. 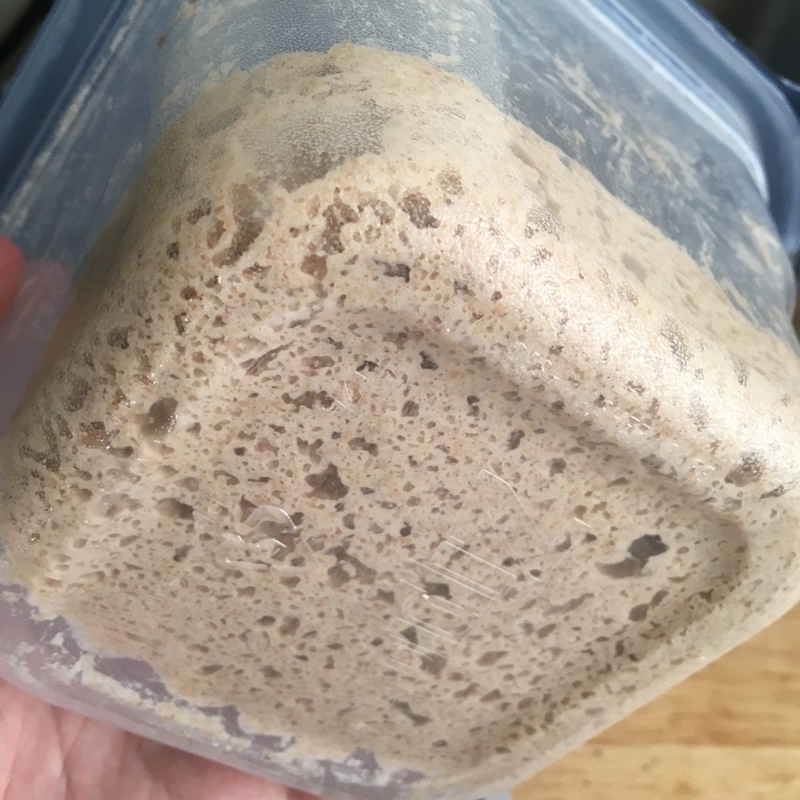 I’ve read about folks who can take their starter out of the fridge and feed it maybe once to get it going, and then 12 hours later build a levain out of it (the thing you make to help sourdough rise, which is a small amount of your mother starter and then flour and water to the weight you need). 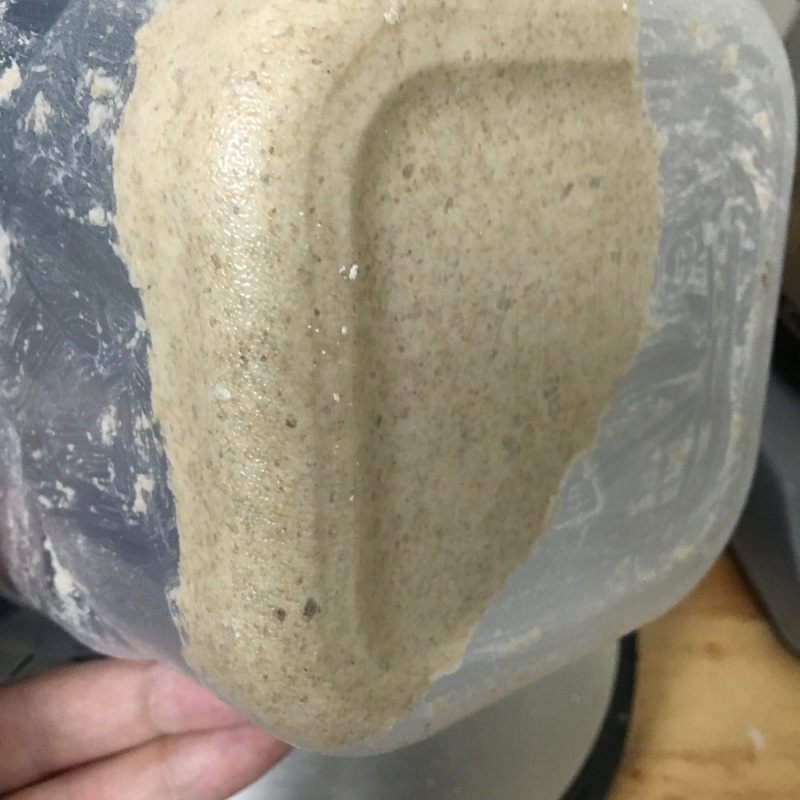 In the past I’ve given my starter three or so days before I bake with it, but this time I gave it one feeding and then built the levain. I think my starter is just still a tad too young/I was pushing it too far, and the loaves were complete disasters. That all said, this week was about getting the starter up to full health. Some pictures from the week in case anyone is curious what a healthy dark rye starter looks like. After a solid week of regular feeding, I’m excited to get some more parmesan/black pepper loaves going tomorrow to bake Monday morning, and am thinking of trying my hand at a walnut raisin sourdough this week. In lieu of bread pictures, here's some glamour shots of my dark rye starter, affectionately named Slime Season, of course after the Young Thug mixtapes. 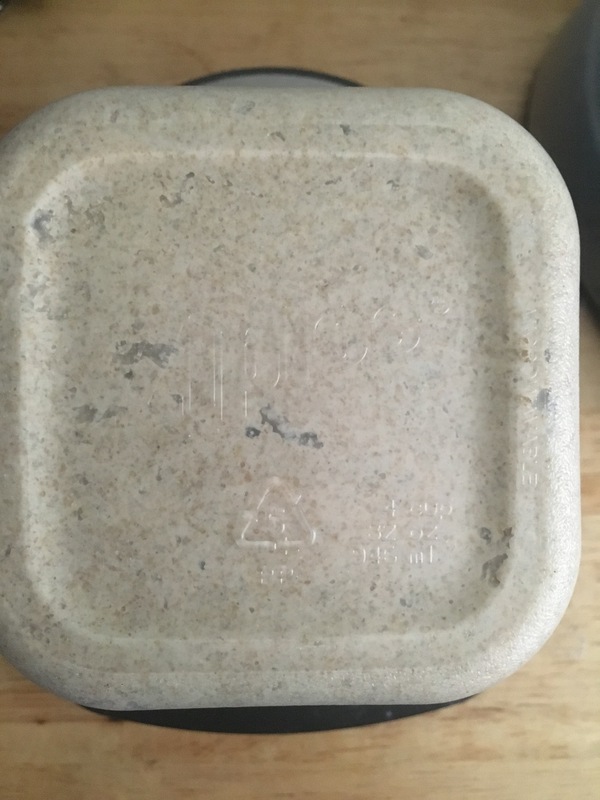 Early in the week, you can see after 12 hours there’s some solid craters/bubbles, which is the visual indicator that the bacteria and yeasts are eating away happily. But really this is what I want. This is a slightly fake diptych, as the before is from Friday morning I believe and the after is this morning, but it illustrates how active and happy the starter is. Before is about a minute after feeding and is identical to how it looked this morning when I fed it. The after is from about 5 hours post feeding. Huge craters, bubbles of irregular sizes throughout, all are indications of how it'll make the bread turn out. And all are looking very pleasing. A lighter week again. Although I did read Ready Player One last weekend. I enjoyed it, but definitely think it is in some ways a really frustrating book. Even with that, it’s a fun romp, and if you like video games at all you’ll probably enjoy it. Finished the Eve book mentioned last week, and not much else. Although next on the plate is Austerlitz by W.G. Sebald. A nice non-video game read, a change I’m looking forward to a good bit.